Webmaster always wants to earn money from each and every possible source. Normally bloggers place ads on their blog to monetize it. Even some experts use various multiple methods. No doubt their are are lot of methods through which a webmaster can make decent money from their website. The most common and famous method is by using Google Adsense. 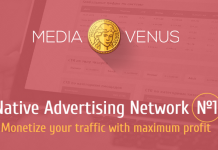 Its basic and simplest way to place ads and earn money when someone click on ad. But its too hard to get approval from Google Adsense because their are some certain Program policies which we have to follow on. If any website does not matched with program policies then it will get disapproved. So in that condition some may feel that, its over and they can’t be able to make money online from their website. If any website having a good amount of traffic then are many possible ways to earn from it. In case your website got rejected by google adsense then don’t worry there are some best Google Adsense alternatives from where can monetize. From all those external and alternative sources one of the best platform to earn money is Infolinks. Infolinks is one the best independent advertising platform after Google adsense. Infolinks provides quality ads in various format and the most important it is also Google Adsense friendly. Why To Choose Infolinks Ad Network ? Comparison Between Google Adsense And Infolinks. How To Create Account On Infolinks ? Infolinks is a global advertising platform offering ad solutions for both publishers and advertisers. With the help of Infolinks you can make some good money from your website. It is an best alternative of an Google Adsense which you can easily use on your website. Infolinks is the third largest marketplace of sites in the world and their platform drives revenue for over 100,000 sites in 128 countries. 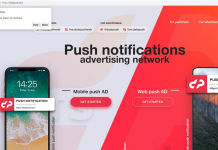 It provide a global advertising solution that gives value to all three ends of the advertising chain through their unique ad platform. Infolinks platform is open to any online publisher, big or small, with no setup fees, no minimum requirements for page views or visitors and no hidden commitments. So you can easily apply on Infolinks as a publisher or advertiser. Google Adsense is products of Google Inc Which is one the biggest giant in online industry. Infolinks is independent advertising platform. No doubt both are best in their places. Ever both are SEO friendly and also with each other. As we all know if we are using Google adsense then it is against to use any other display ads on same webpage. In that condition to earn some extra revenue infolinks is the best choice. Because infolinks have totally different ad formats as compare to google adsense.Google Adsense having hard approval system and they have strict program policies. Google Adsense is PPC based ad network. They offers good rates as compare to whole industry. But to participate in this program we have to follow policies otherwise website will get disapproved. Infolinks is one best ad platform which you can also use with Google adsense. Infolinks is also work as a best adsense alternative when website got rejected by Google adsense. Infolinks also have program policies but its easy to get approval. Only those sites got rejected which are of those categories which are listed in program policies. Infolinks offer combination of CPC with CPM in the form of eCPM. Infolinks will be the best choice in don’t have any source of earning from your blog. Infolinks is ad network where both advertiser and publisher can create their account. You can easily sign up for new account from there official website. Even you can sign up using Facebook account to create new account. So if you want join as advertiser then switch to advertiser tab and if you want to join as a publisher then switch to publisher tab. 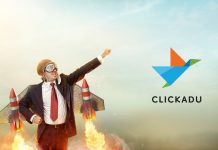 For publisher simply click to sign up button and provide details along with website or blog where you want to use infolinks to earn money. If you want to join then visit. Search & Display, above the fold:- This clever ad unit takes advantage of the power of search and display, delivering ads on a wider scale of traffic. InFold appears in a unique location right above the fold. Advertising outside the box:- InTag displays the most valuable keywords directly related to the content of a page in highly customizable ad units. Discreet and highly effective:- InText works by scanning a page’s content in real-time to deliver relevant ads. The ads are neatly presented within a page’s text, delivering effective results. User intent meets display ads:- InScreen, an interstitial ad, functions as an “ad intermission” between page views. This results in well-timed display ads, driven both by user intent and website content. 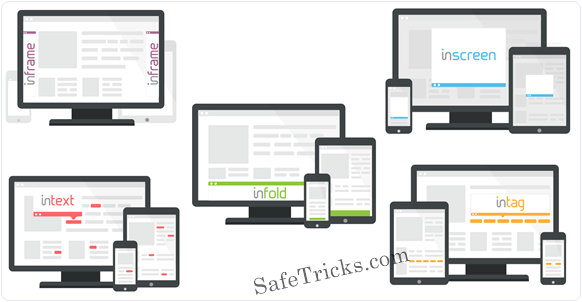 Display ads with an edge:- InFrame provides a solution for unused real estate on wide screens. These attractive display banners present relevant and perfectly timed ads. 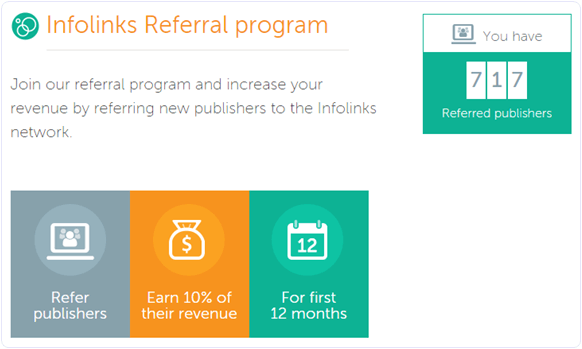 Infolinks also having a Refer Program where you can refer other to join as a publisher and you will earn some extra money as a commission. Under this refer program infolinks will provide you 10% commission from each referred publisher for 12 month . 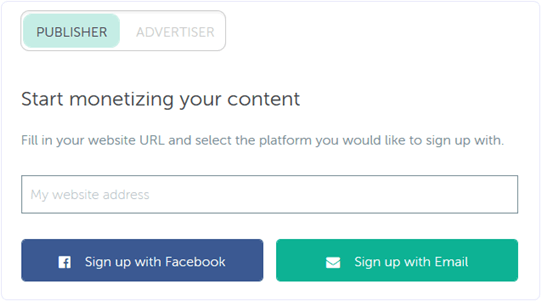 As a publisher you will get your own personal referral tab where you can get your own unique referral URL. You can also see real time sites sign up reporting under your referral system. To use this refer program you have to first join as a publisher. According to us infolinks is the best choice in both conditions while you have Google Adsense or Not. Infolinks along with Google Adsense becomes best extra source of income but if you didn’t get Google Adsense then it is the best alternative. If you any website or blog best you never try Infolinks ever. Then suggest you to try it once for full month and i bet results will be positive regarding earning.